One of the most recognizable stars in the Turkish Airlines Euroleague for both his consistent excellence and his daring style of play, Rudy Fernandez and Real Madrid reached their third consecutive Final Four this year, one for every full season he has played with the club. 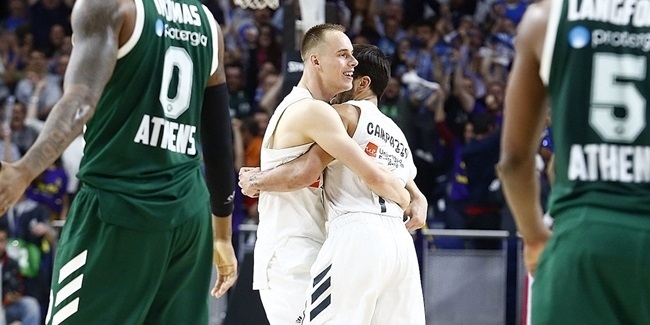 Fernandez was an All-Euroleague First Team selection in each of the past two seasons, but his continuing improvement makes it clear that he won't be satisfied until he can lead Los Blancos to a Euroleague crown. Fernandez was the 2007 Euroleague Rising Star Trophy winner with DKV Joventut, and a year later led that club to the ULEB Cup title. Fernandez got another brief taste of the Euroleague in 2011 before returning to the competition full-time in 2012. Through his combination of elite athleticism, deadly shooting, court vision and a high basketball IQ, Fernandez has firmly established himself as one of the toughest matchups there is on both ends of the floor. Since he first donned Madrid's white jersey in 2011, Fernandez is the competition's leader in performance index rating per game and Madrid's top scorer. Moreover, he has been the most dominant player in the playoffs over the past three seasons, ranking first in scoring and average performance index rating during that phase. 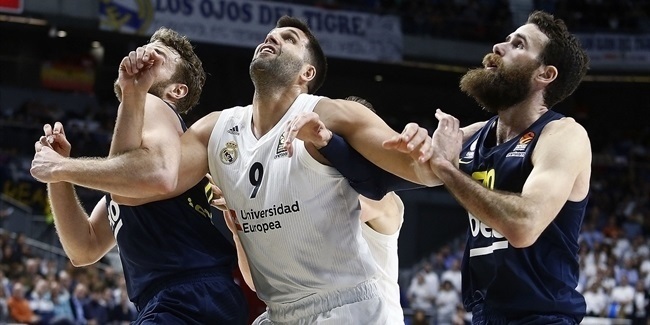 His big-game success has carried over to the Final Four, too, as Fernandez has helped Madrid make back-to-back trips to the championship game. Fernandez has scored in double figures in all but four games this season. He was at his best during one of the most important stretches of the season, in February, when he raised his level of play again and was honored as the Euroleague's monthly bwin MVP. Playoff time was Rudy time once again. 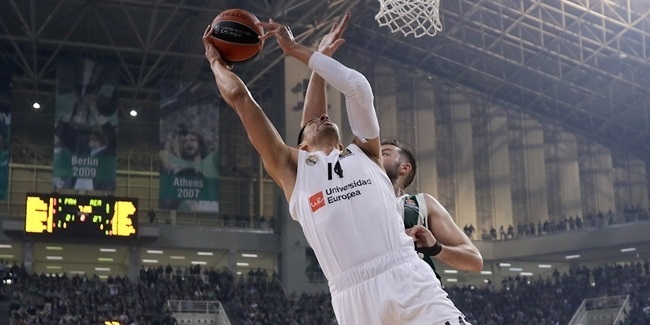 Despite being slowed by injury, Fernandez played a key role in Madrid's 17-point second-half comeback in Game 2 and blazed Madrid's path to the Final Four, where he will take his third shot at the Euroleague crown, this time on the Barclaycard Center floor on which he has been so spectacular all decade.